In 1947, or late 1946, the first batch of Dead Sea Scrolls was found in a cave located near the site of Qumran in what is now the West Bank. These bits of biblical history continue to perplex archaeologists to this day. Not only are there still unanswered questions about the 2,000-year-old scrolls, but scientists continue to find fragments of the scrolls and other related artifacts. In the time after ed-Dib’s discovery, thousands of additional fragments were uncovered in a series of 11 caves located near Qumran. Some of these fragments were found by the bedouin who, in turn, sold them to an antiquities dealer named Khalil Iskander Shahin in Bethlehem. Other fragments were found in a series of archaeological excavations conducted in the 11 caves between 1949 and 1956. The identity of the authors of the Dead Sea Scrolls is a source of debate among scholars. Many believe that at least some of the Dead Sea Scrolls were written by people who belonged to a sect called the Essenes and that this sect used Qumran as a sort of monastery. After 1956, more scrolls were discovered at other caves located in the Judaean Desert. As the 70th anniversary of the Dead Sea Scrolls discovery approaches, Live Science has learned of new discoveries that will be announced soon. An archaeological team has been excavating a cave located near Qumran since December. Members of the team have told Live Science that they have made some discoveries that the Israel Antiquities Authority will announce soon. Additionally, another team, which is excavating at a place known as the “Cave of Skulls,” has made a series of discoveries that the newspaper Haaretz says include small fragments of scrolls. Archaeologists with the Cave of Skulls team declined to comment when contacted by Live Science, and an Israel Antiquities Authority spokesperson said the finds from the Cave of Skulls are still being analyzed. The excavation of these two caves is part of a project that the Israel Antiquities Authority launched to excavate caves in the Judaean Desert that may contain archaeological remains. Over the past few years, looters have illegally excavated material from caves in the desert, with one illegal “dig” supposedly resulting in the discovery of a scroll that dates back around 2,700 years. In addition to the new scrolls reportedly being found in the Judaean Desert, some have supposedly turned up on the antiquities market. In 2016, approximately 25 previously unpublished fragments of “Dead Sea Scrolls,” supposedly from Qumran, were described in two separate books. Research indicates that some of these scrolls are likely forgeries, while others may not be from Qumran but rather other caves in the Judaean Desert. Over the past 15 years, about 70 alleged Dead Sea Scrolls fragments have turned up on the antiquities market, Eibert Tigchelaar, a professor of theology and religious studies at the University of Leuven in Belgium, told Live Science last fall. Some of these 70 fragments are likely either forgeries or from other Judaean Desert caves, he said. 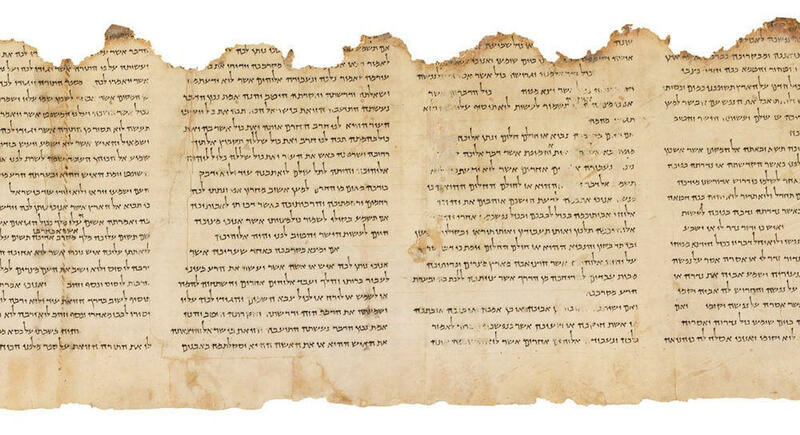 In the time since Live Science interviewed Tigchelaar, a company called Les Enluminures, which sells ancient and medieval manuscripts, has sold 15 fragments of “Dead Sea Scrolls” to an undisclosed institution in the United States. “The scrolls are now in an institution in the United States. I am not at liberty to reveal which one, until they make their own public announcement,” said company CEO Sandra Hindman. The company said these fragments were found by the bedouin who sold them to Shahin in the early 1960s. The asking price for all 15 fragments was $1 million. “We have absolutely no doubts about their authenticity,” Hindman said. Tigchelaar said that he will need to wait until higher quality photographs of the scroll fragments are available before he can analyze the fragments in detail. Album: Who ‘Penned’ the Dead Sea Scrolls?